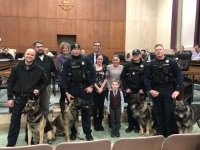 (Front row, l-r) Officer Nicholas Schuld with K9 Coney; Officer Bryan Bernow with K9 Beny; Lucas Woronischtsche; Officer Bobby Jackson Jr. with K9 Dexter; and Officer Jason Campana with K9 Max. (Back row, l-r) Anthony Woronischtsche (Lucas’ dad), Ward 4 Councilwoman Kristin Saban, Parma Mayor Tim DeGeeter, Emily Woronischtsche (Lucas’ sister) and Rebecca Woronischtsche (Lucas’ mom). 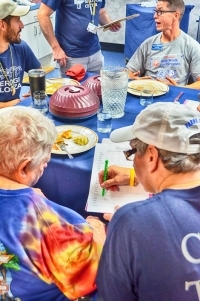 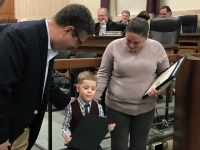 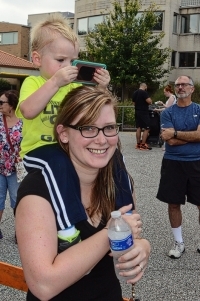 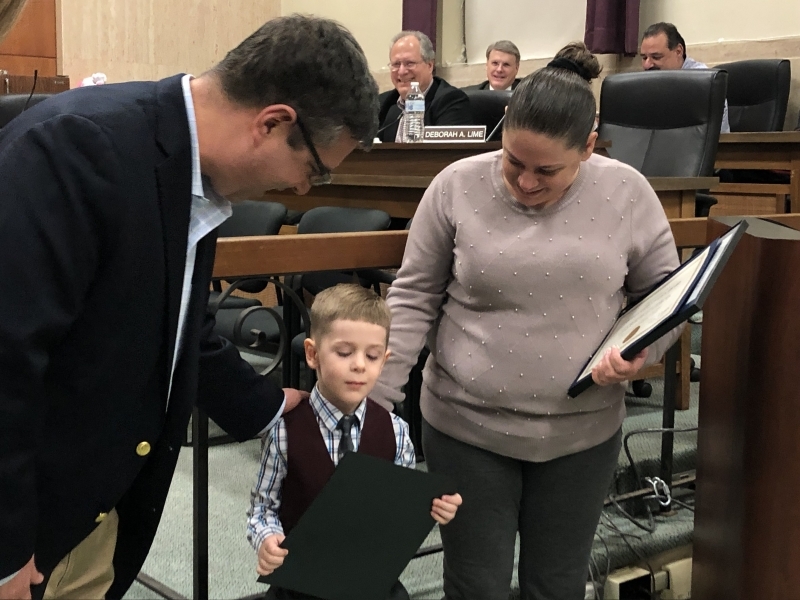 Lucas Woronischtsche looks at the proclamation he received from Parma Mayor Timothy J. DeGeeter while his mother Rebecca Woronischtsche holds his other proclamations.